Alex, I thought you were against the “false left/right paradigm”. 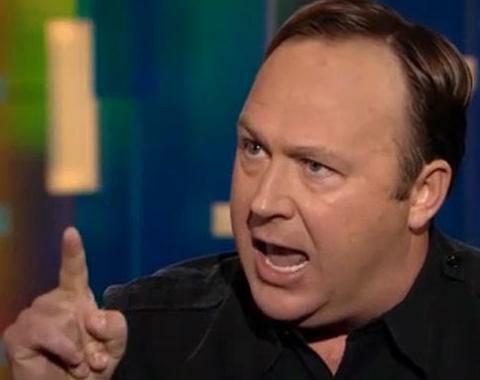 Alex, I thought you’ve said on repeated occasions that Obama is just a puppet of the “globalists”? Who are some of these prominent globalists? Carl Bernstein recently told us who they are. Ah, yes, because people’s posts on Twitter are such a reliable indicator of what they’ll do in real life, right? It reminds me of the ridiculous race-baiting fearmongering that Jones was instigating prior to the 2012 presidential election, in trumpeting the Twitter posts by some African-Americans, claiming that they would riot if Romney were elected. Anyone who has spent more than a few hours in online chat rooms or forums would realize that lots of people act tough online, and flame others, only to wimp out in real life confrontations. This headline makes it seem like it’s widespread, whereas the actual article only refers to “some” Americans abandoning July 4 celebrations. The actual article link quotes some “Ex-Chicago Cop”, but the headline puts the thought in people’s mind that race riots are a virtual certainty if Zimmerman is acquitted.